We all need a little help when it comes to a situation we have never faced. Generally, when parents decide to get divorced, they don’t spend the time to understand how that will affect them and their child custody in the upcoming years. Of course, not you, that’s why your here, reading this! We took some time to compile a list of good articles and resources for you to use on you journey. Yes, I did say journey, because when kids are involved, sharing custody becomes a lifelong journey. 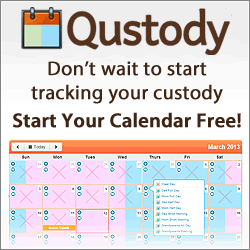 At Qustody.com, we are more than just a stock custody calendar. We’ve been through the Divorce process and have a real heart for others going through the same custody battles and struggles as we did. If you want, please bookmark this page because we will be adding more and more resources as time goes on.